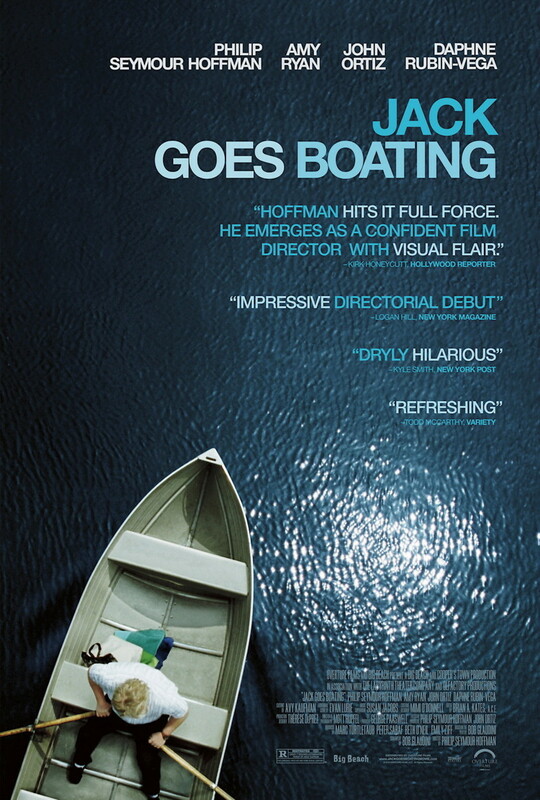 Jack Goes Boating DVD and Blu-ray release date was set for January 18, 2011. Jack is absorbed in his job as a chauffeur in his uncle's limo company. He is too insecure to seek a relationship, but his co-worker, Clyde, is determined to bring him out of his shell. Clyde and his wife, Lucy, set up Jack with Lucy's equally shy friend, Connie, during a dinner party. Jack's new relationship with Connie brings out the best in him. He wants to learn to swim so he can take her out on a boat. A friend of Lucy's teaches Jack how to cook so he can make Lucy a home-cooked meal. But as Jack falls deeper in love with Connie he sees the other side of romance as Clyde and Lucy begin to grow apart.